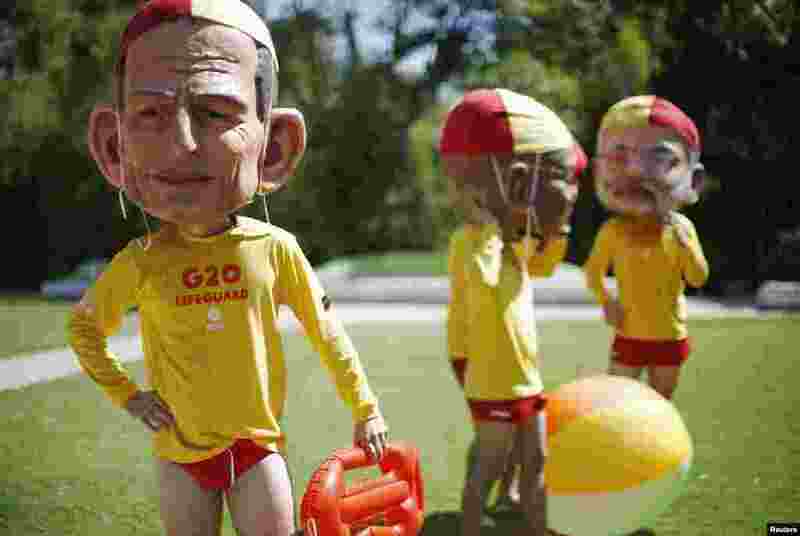 1 A protester, wearing a mask depicting Australian Prime Minister Tony Abbott and dressed as a lifeguard, calls for global equality among nations outside the venue site of the annual G20 leaders summit in Brisbane. Leaders depicted are (L-R) Australian Prime Minister Tony Abbott, South African President Jacob Zuma and Indian Prime Minister Narendra Modi. 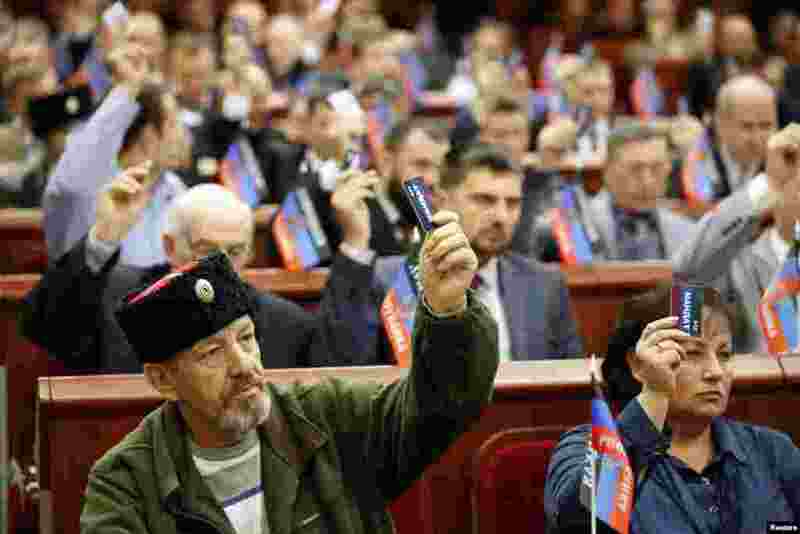 2 Participants vote during the first session of the new local parliament of the self-proclaimed Donetsk People's Republic in Donetsk, eastern Ukraine. 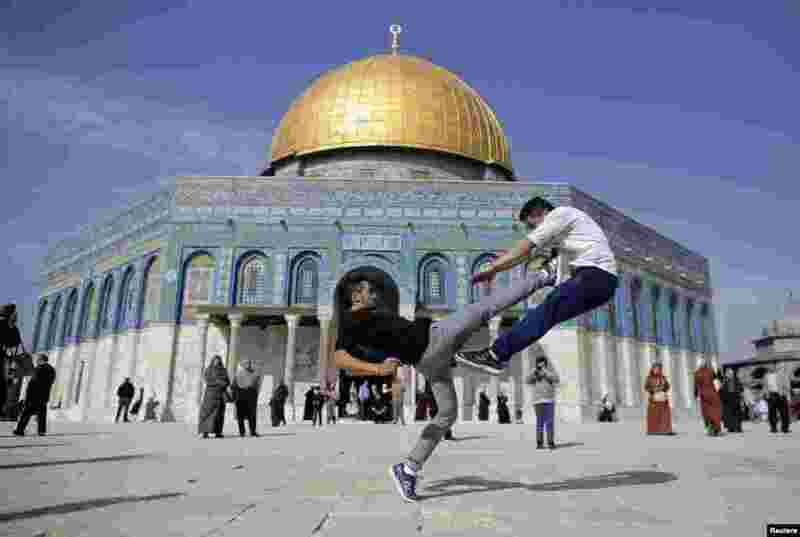 3 The Dome of the Rock is seen in the background as Palestinian youths practice their parkour skills during Friday prayers in Jerusalem's Old City. 4 Students listen to U.S. President Barack Obama speak at Yangon University in Yangon, Myanmar.